Managing for Sales Success® is a comprehensive sales training solution and methodology that supports the consistent application of customer-focused selling skills. The Sales Coaching Institute offers an interactive process for sales professionals to discover their natural talents. We provide our students with the best methods to overcome potential roadblocks on the road to sales success. 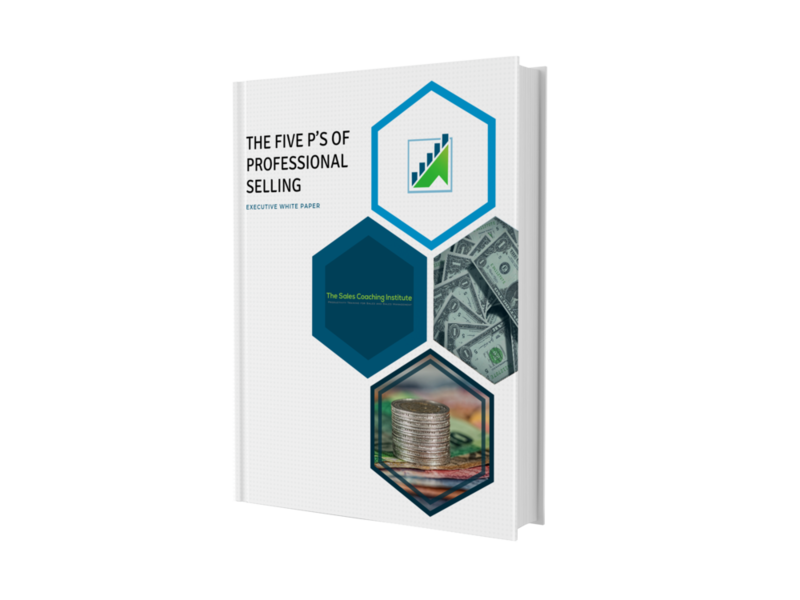 Every individual has a unique selling style that sets them apart. Our interactive sales training process allows the individual to focus on and develop their strengths, while we identify potential weaknesses through a sales self-development and improvement plan. The sales excellence workshop is a customized program designed to provide sales forces and sales managers with the ability to immediately implement newly acquired skills for sales success. We focus on selling techniques that are used throughout the consultative sales process, from creative prospecting, to developing customized value propositions, to first impressions, to demonstration and of course learning strong closing techniques. 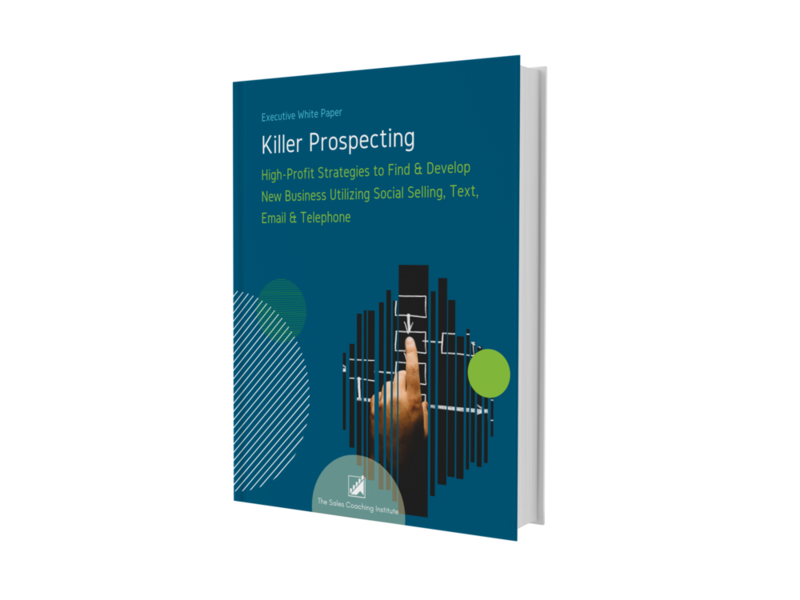 When prospecting, in sales, it is imperative to understand the different types of clients you will encounter and what selling techniques will work best for them. When dealing with demanding situations, sales professionals need to be able to adapt their selling techniques and style to match client’s needs. After all, the golden rule can be modified to, “Treat others how THEY want to be treated.” In order to adapt to a client’s needs, a sales person must first understand his or her own selling style. Our sales excellence workshop takes a deep look into your sales force and sales leadership team to answer questions like: Which selling techniques come naturally, and which one is a challenge? How does he or she naturally tend to handle objections, make decisions, pay attention to details, and how fast does he or she move through a presentation? If a client does not handle these items in the same manner, a communication breakdown is likely to occur. To avoid the breakdown, we help you adopt different selling techniques or modify your own selling technique. Sales management is also addressed in this customized sales training program. In addition to selling styles, properly managing an organization’s sales talent can be a key competitive advantage in today’s workforce. It will lead to higher productivity, job satisfaction, increased morale and decreased turnover. All of these factors can contribute to a healthy increase in the organization’s return on investment. Sales management is also addressed in this customized sales training program. Sales professionals tend to be goal oriented and results driven. Through our interactive sales workshop and the use of sales assessments, individuals learn how to satisfy their natural motivators and to behaviorally adapt their sales style to target the communication needs of their clients. As a result, sales will increase and job satisfaction rises. We look forward to working with your sales force, sales managers, and your organization. The Sales Coaching Institute Sales Training is a global training organization that has the privilege of working with major organizations located in major cities throughout the United States with professional training & coaching materials. 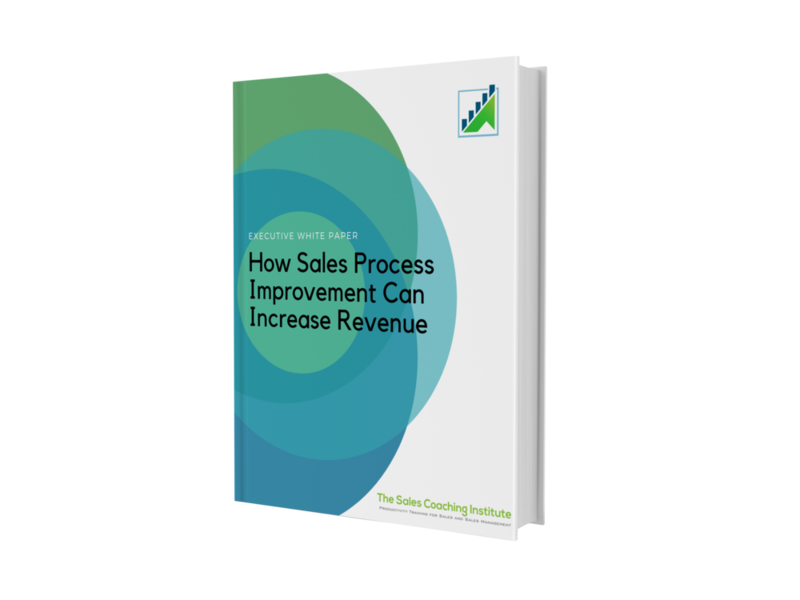 For 20 years The Sales Coaching Institute has helped sales organizations, ranging from small- and mid-sized businesses to Fortune 1000 companies, improve the effectiveness and efficiencies of their sales and management processes.